There are many OTC products to keep families healthy. Type 1 diabetes mellitus (T1DM), once known as juvenile diabetes or insulin-dependent diabetes, is an autoimmune disease usually diagnosed in children and young adults. The American Diabetes Association reports that only 5% of individuals with diabetes have this form. In T1DM, the pancreas fails to produce the hormone insulin, which is needed to convert sugar, starch, and other food into the energy the body needs. Although the exact cause of T1DM is unknown, researchers believe that autoimmune disorders or certain genetic conditions may increase an individual’s risk for developing the disease. If a diagnosis of diabetes is suspected or confirmed, your child will be referred to a pediatric endocrinologist who will probably order several tests. and fasting blood glucose levels. To date, there is no known way to prevent T1DM. Check blood glucose levels at least a few times a day. Your doctor will tell you how many times to test per day. Adhere to the prescribed medication and treatment regimen. Wear a medical alert bracelet or necklace stating that you have diabetes. Keep glucagon or glucose tablets on hand in cases of hypoglycemia. Eat a balanced, healthy diet and adhere to your recommended nutrition plan. Exercise regularly to help maintain normal blood glucose levels. Maintain routine appointments with your doctor. Conduct routine skin and foot examinations, and have annual eye exams. Some people with diabetes turn to complementary and alternative medicine for treatment. Some of these therapies may be effective, whereas others can be ineffective or even harmful. Patients who use complementary and alternative medicine therapies should keep their health care providers informed and always consult their primary health care provider before using any of these types of therapy. 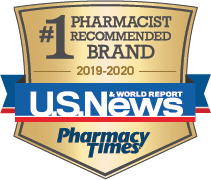 When individuals with diabetes seek OTC medications for other medical conditions, it is critical to speak with a pharmacist about which medications can help treat the condition without worsening it.